Arrive in Nairobi before being transferred to your overnight accommodation close to the city centre, with the remainder of the afternoon being free to spend at your leisure. Leaving after breakfast, you’ll travel across the fertile highlands of Kenya before dropping down the Rift Escarpment as you journey towards the town of Narok. From there, it’s onwards across acres of wheat and barley to reach the Masai Mara in time for lunch. 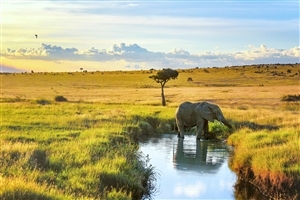 An afternoon game drive then follows as you seek to spot the first wildlife of your trip. 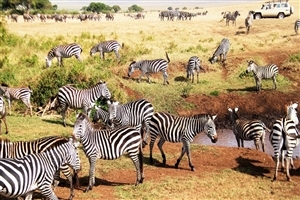 Visit a Masai village in the morning before the first of two game drives, with lunch back at the lodge in between. Known for its exceptional population of lions, leopards and cheetahs, a day exploring this famous reserve will provide a fantastic opportunity to see some of the big cats that call Africa home. 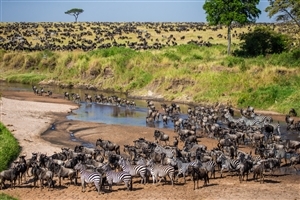 Leaving the Masai Mara behind, travel back to Narok before heading across the vast plains on the floor of the Rift Valley, where there is the opportunity to see herds of giraffe and gazelle. 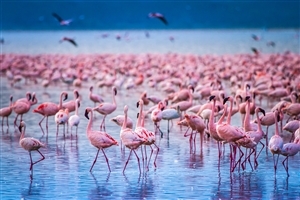 Arriving at Lake Nakuru in time for lunch, marvel at the shimmering pink water, so coloured because of the large amounts of flamingos that line the shore. An afternoon game drive in the Nakuru National Park takes place before your return to your lodge in time for sunset. Leave Nakuru behind and travel to Lake Naivasha, where you can view plentiful amounts of birdlife on a boat trip. Travelling away from the Rift Valley, you’ll collect a picnic lunch in Nairobi before heading south from the capital to Amboseli to arrive at your lodge by late afternoon. With the dramatic backdrop of Mount Kilimanjaro, spend a full day on a game drive exploring the National Park, complete with a hot picnic lunch. Sparse vegetation in the park gives some of the best opportunities to view wildlife on your trip, most notably the stunning African elephant. Leave Kenya behind as you travel to the border with Tanzania before driving on to Arusha for lunch. Crossing the Masai Steppe to the Great Rift Valley, you’ll arrive at your overnight accommodation, located in a dramatic setting high on the rim of the valley overlooking the park below. Spend the morning exploring the Lake Manyara National Park before departing after lunch to head for the Serengeti, with game viewing en-route to the lodge where you will stay the night. Explore the vast expanses of the Serengeti and seek out the wide variety of wildlife with both morning and afternoon game drives. After another game drive in the morning, complete with picnic lunch, travel towards the famous Ngorongoro Crater with a short visit to the Masai village en-route. Arrive at your accommodation high on the edge of the crater in time for your evening meal. Spend the day exploring the stunning surroundings of the vast Ngorongoro Crater, with its areas of forest, swamps, lakes and open grassland being home to large amounts of wildlife – with lions, black rhinos and hippos being amongst the species you can hope to see. Leaving the crater, head back to Lake Manyara and then across scenic wheat plains and through coffee plantations to Tarangire National Park. After a game drive en-route to your lodge, you’ll have the chance to enjoy lunch and taking a relaxing swim before a second game drive in the afternoon. Leave Tarangire for the journey back to the Kenyan capital, stopping off for lunch in Arusha on the way. 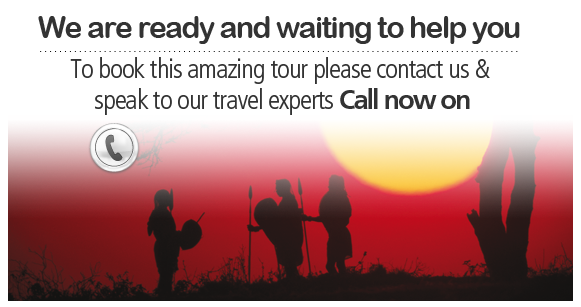 Arriving late afternoon, enjoy dinner in the city centre before your tour comes to an end.